BMW knocks $10K off electric vehicle price in N.J.
An electric vehicle gets a fill up. BMW of North America is offering a $10,000 rebate on its i3 electric car to customers of Public Service Electric & Gas Co., the New Jersey utility announced Thursday. Combined with a $7,500 federal tax credit, the automaker said the incentive would reduce the vehicle's base price by about a third. A 2018 BMW i3 electric car. The promotion is available to PSE&G customers through April 30. Potential customers must download a form at PSEG.com/goelectric and take it to any BMW dealership along with a copy of their PSE&G bill. BWM says a base model i3, which can get 114 miles with a full charge, starts at $44,450. Electric vehicles are not subject to sales tax in New Jersey. The promotion is the latest effort by electric vehicle manufacturer to spur growth of the market, which is being promoted aggressively in Europe. 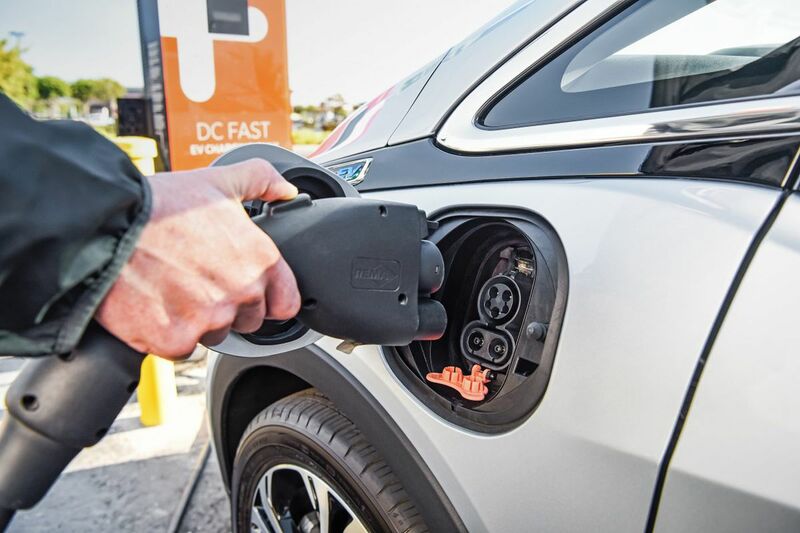 Electric utilities want to promote the EV market to increase sales of electricity.